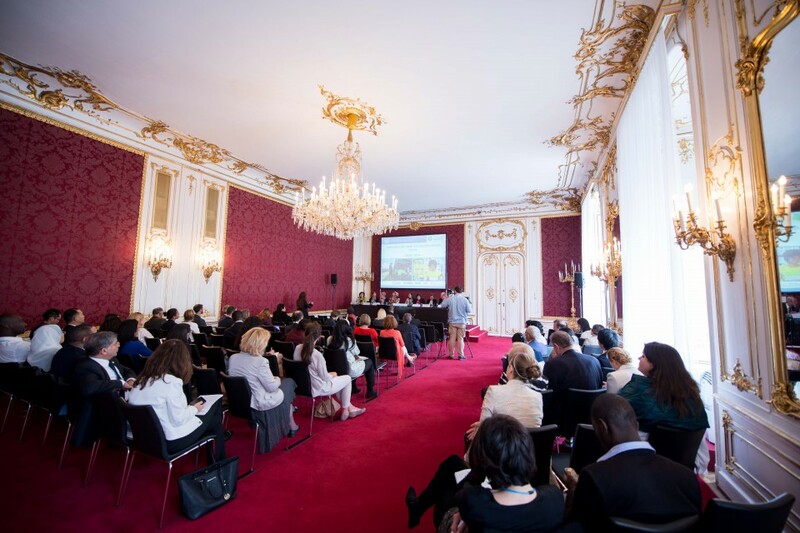 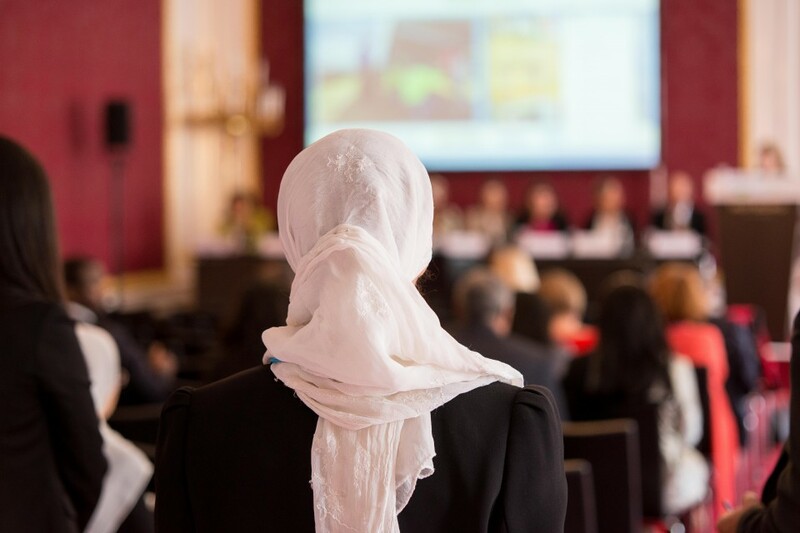 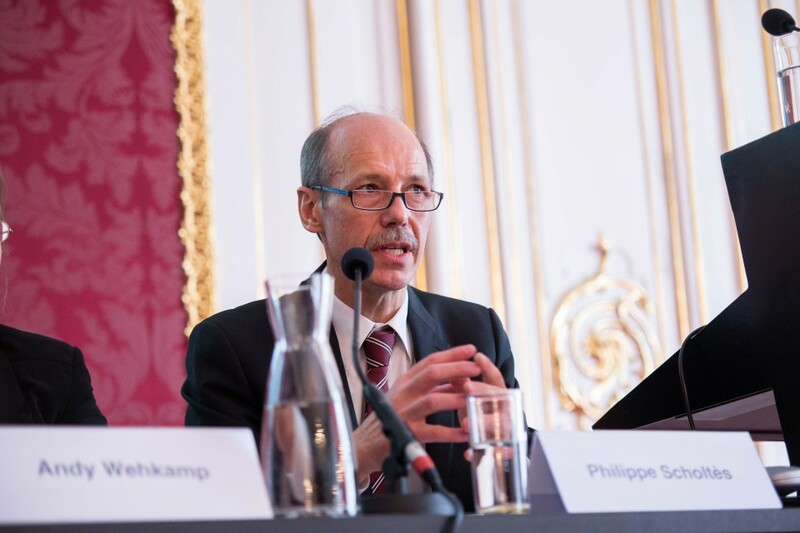 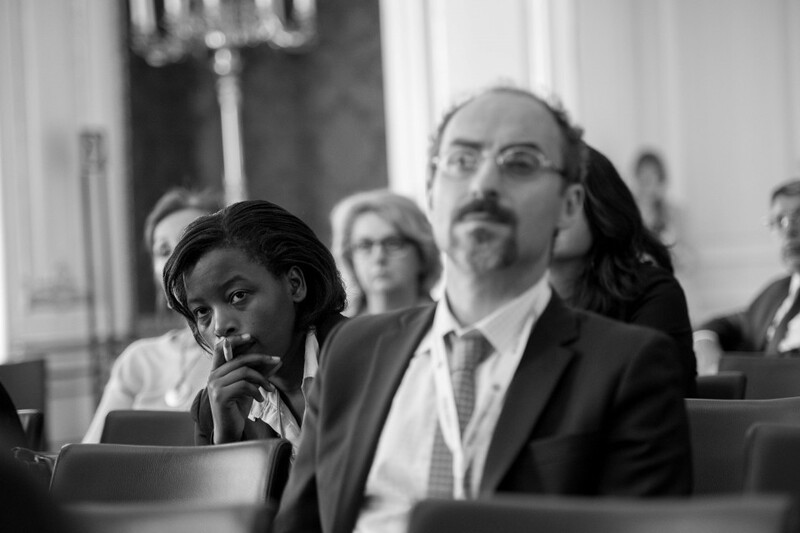 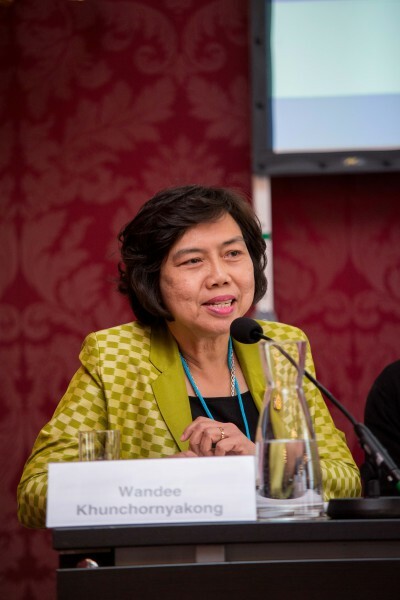 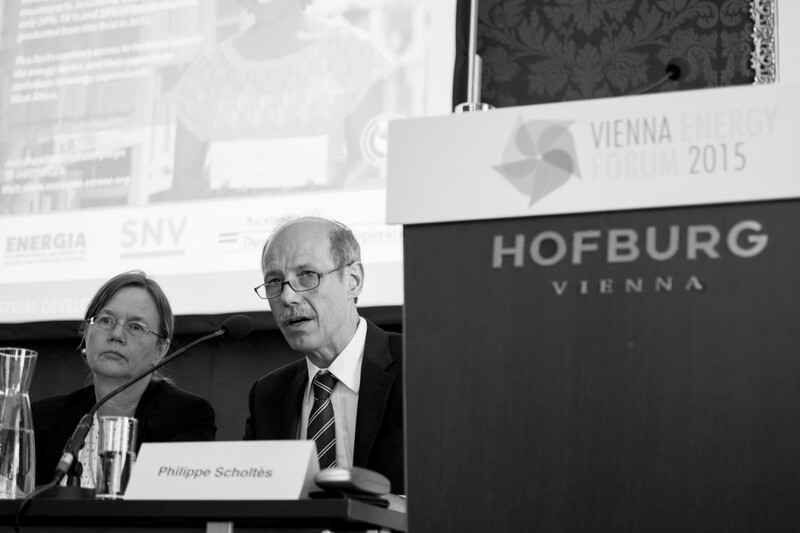 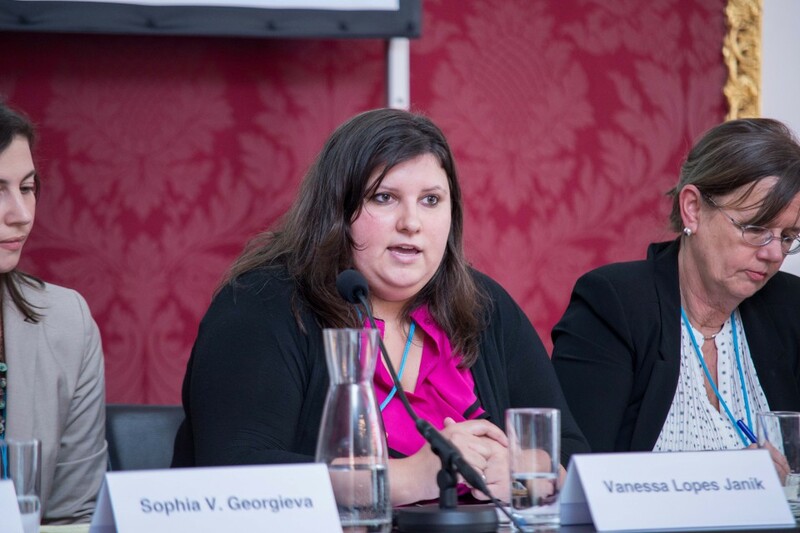 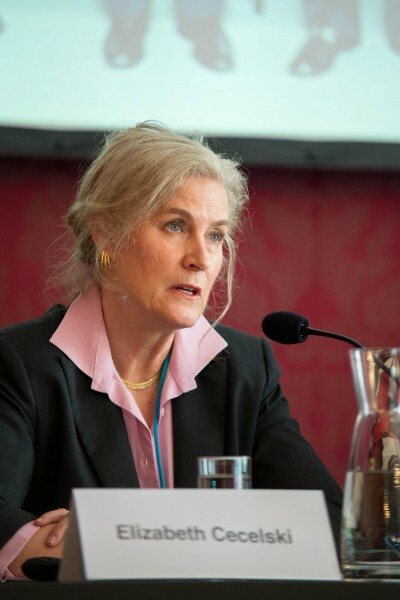 VIENNA, 25 June 2015 – A key message from the Vienna Energy Forum (VEF) 2015 is that sustainable energy and women’s empowerment are mutually reinforcing goals that are vital to truly inclusive and sustainable development. 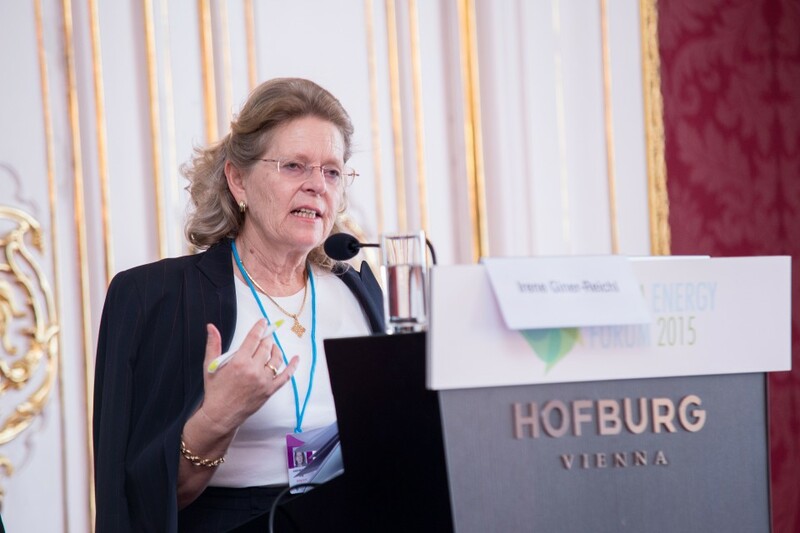 During the three days of high-level discussions at the VEF from 18 to 20 June, sustainable energy was recognized as the golden thread connecting the sustainable development agenda with climate action, and there was agreement that gender equality should be the intertwining thread that weaves all the components stronger together. 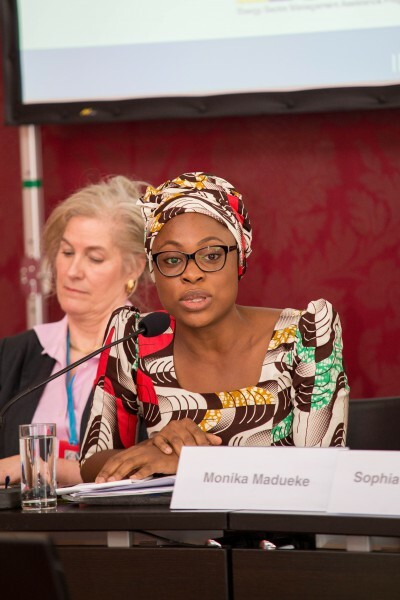 The VEF outcome document noted that energy poverty impacts women disproportionately due to domestic dependence on biofuels, traditional gender roles and the related health problems. 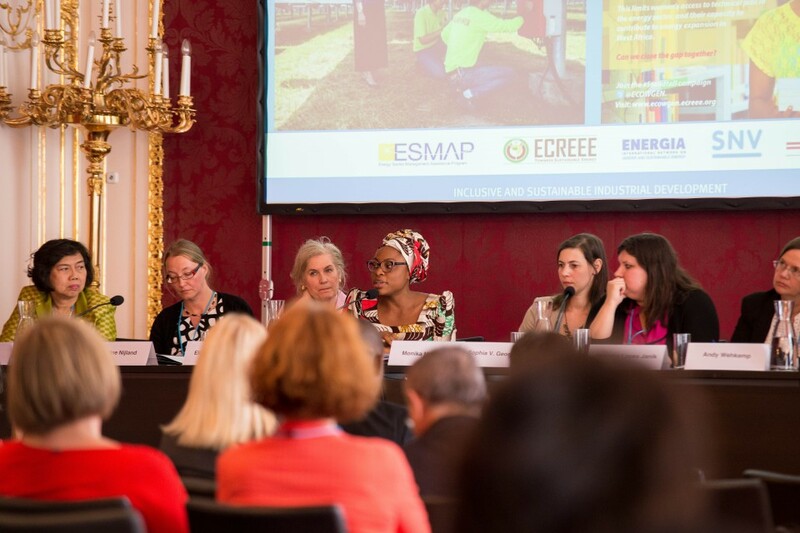 Evidence shows that access to sustainable energy can provide opportunities for women’s economic empowerment and advance gender equality, and in this context there was consensus that Sustainable Development Goals 5 and 7, on women’s empowerment and on sustainable energy respectively, must be tackled jointly through an integrated approach that promotes women’s transformational roles in providing innovative energy solutions. 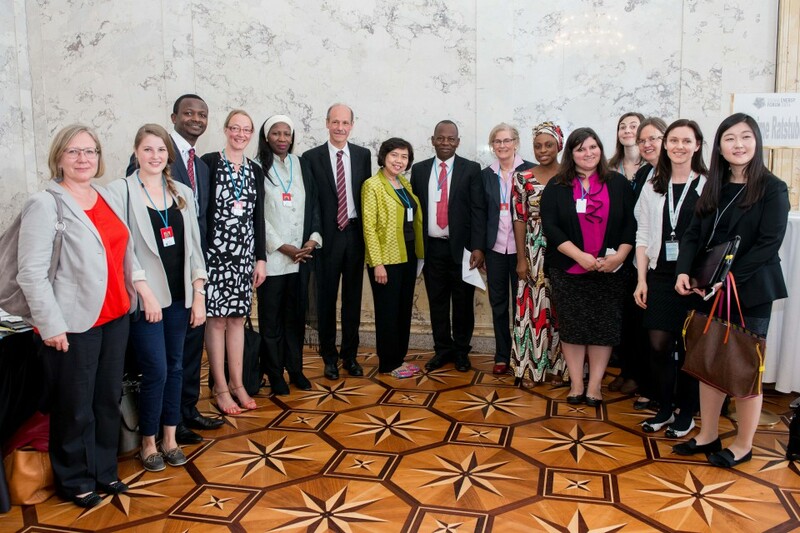 During the VEF, two dedicated events brought particular focus to gender equality and women’s empowerment (GEEW). 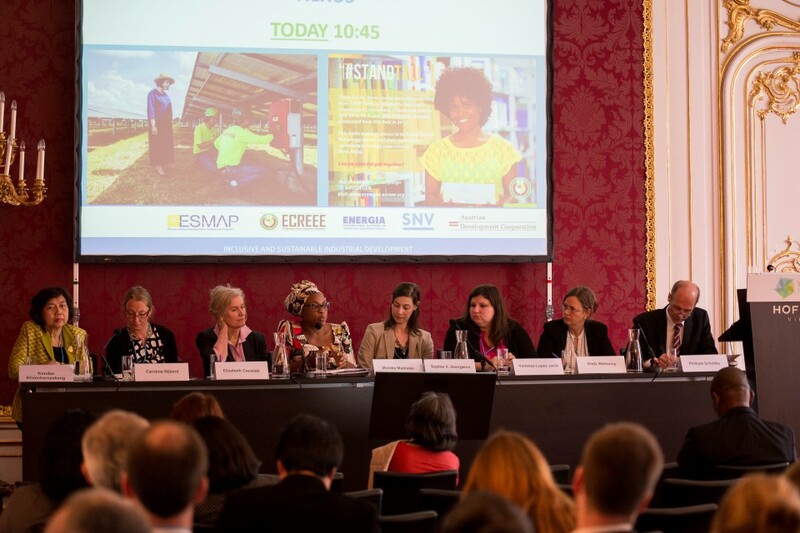 A side event, “RE-Think the Energy-Gender Nexus: Adding Value to Sustainable and Inclusive Development in the Energy Sector”, organized by the United Nations Industrial Development Organization (UNIDO) in close collaboration with the Economic Community of West African States (ECOWAS) Centre for Renewable Energy and Energy Efficiency (ECREEE), the Austrian Development Agency (ADA), Netherlands Development Organization (SNV), ENERGIA the International Network on Gender & Sustainable Energy, and the World Bank’s Energy Sector Management Assistance Programme (ESMAP), discussed GEEW in the context of the forthcoming UN Summit on the Post-2015 Development Agenda, and the Paris climate change summit. 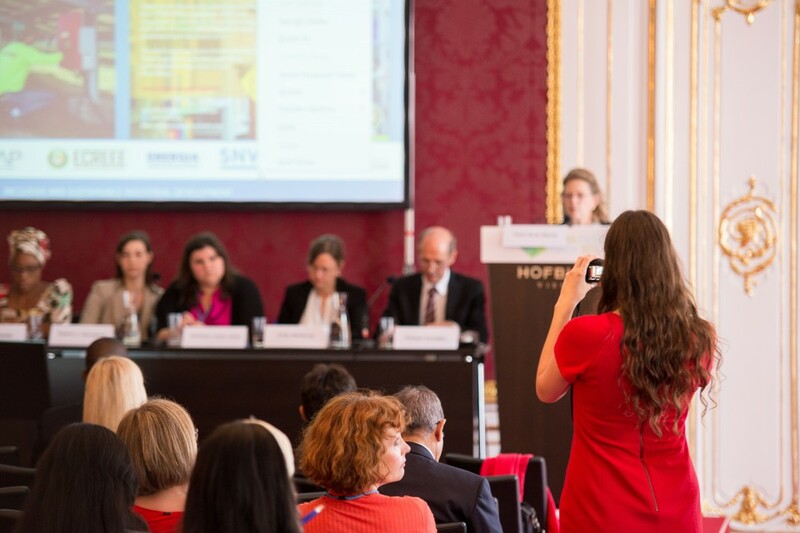 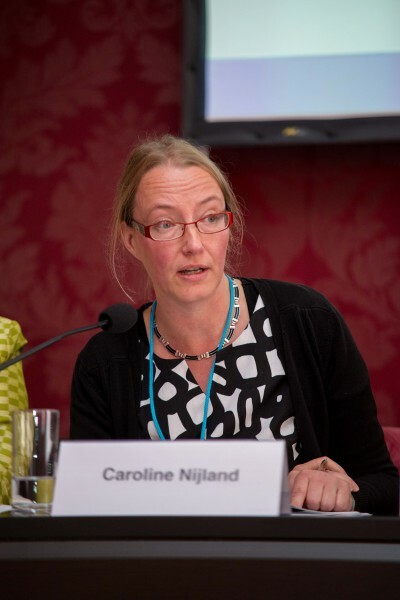 The side event emphasized the potential role of women in the international development agenda and climate action for the next decades, and explored the synergies of sustainable energy and gender. 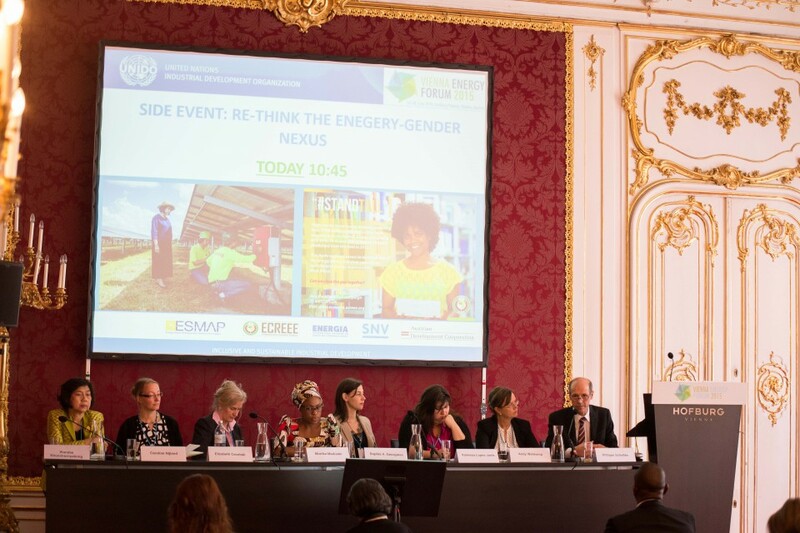 Keynote speaker Irene Giner-Reichl, President of the Global Forum for Sustainable Energy, reiterated that strategic re-thinking of the energy-gender nexus will be crucial to inclusive and sustainable development, and panellists confirmed that, in recent years, women’s economic empowerment and sustainable energy have emerged as key components of inclusive and sustainable growth, and as catalysts for poverty reduction through productive activities. 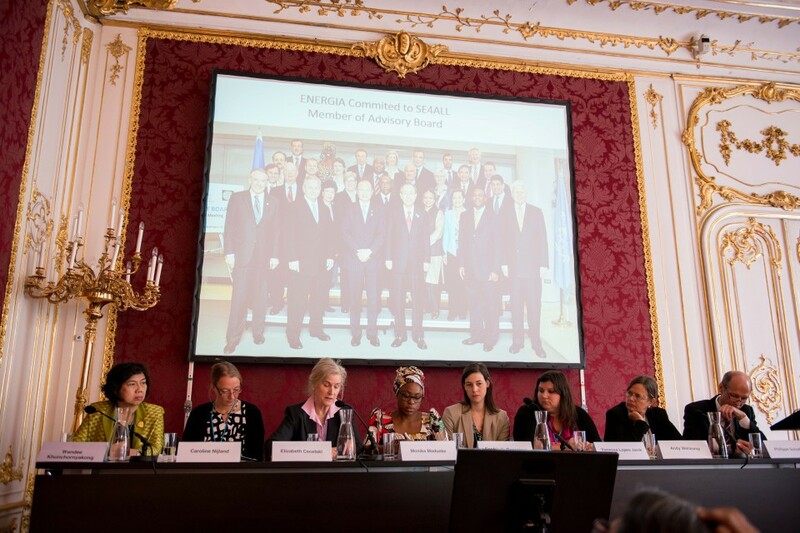 A special networking event on “Women for Sustainable Energy” reaffirmed the strong commitment of the UNIDO and its partners to gender mainstreaming in all energy initiatives, and reiterated the catalytic role of women in the production and consumption of sustainable energy. 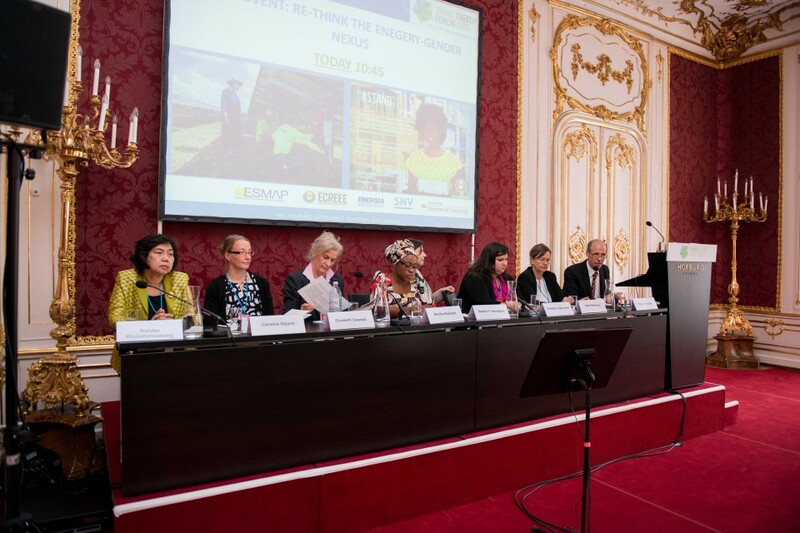 Distinguished speakers, including Irene Muloni, Uganda’s Minister of Energy and Mineral Development; Carolina Cosse, Uruguay’s Minister of Industry, Energy and Mines; Helen Hai, CEO of Made in Africa Initiative and a UNIDO Goodwill Ambassador; and Christine Lins, Executive Secretary, Renewable Energy Policy Network for the 21st Century (REN21); presented strategies to strengthen and promote the energy-gender nexus.